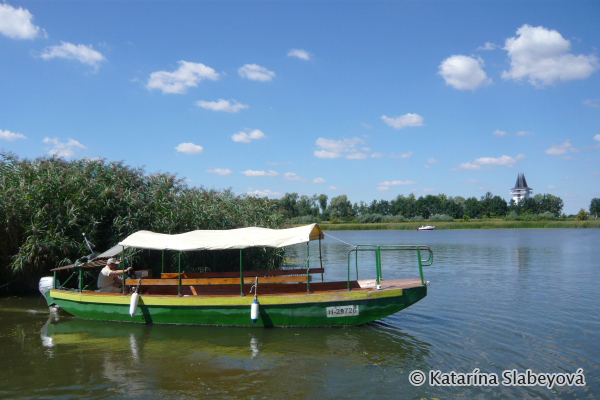 In the middle of the first September week we visited Hortobágy National Park in Hungary. 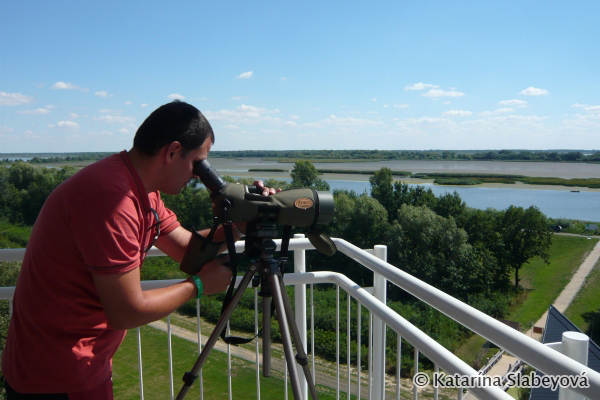 Our main aim was to make a few arrangements for our October trip in this area focused on Common Crane migration. 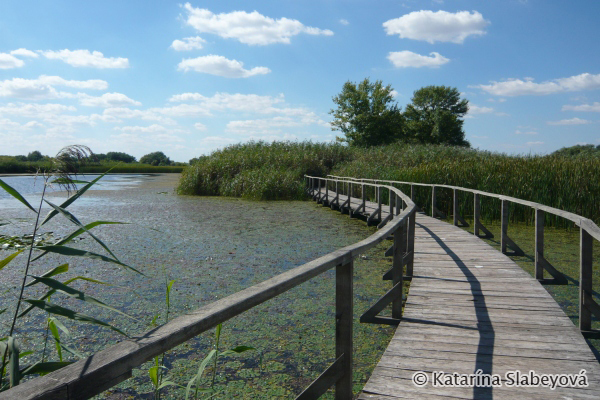 We visited modern Lake Tisza Ecocenter, tasted local cuisine and did a little bit of birdwatching. 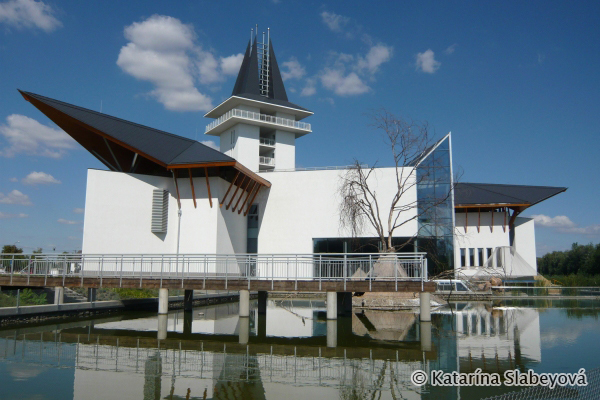 Our first stop was Lake Tisza Ecocenter in Poroszló. 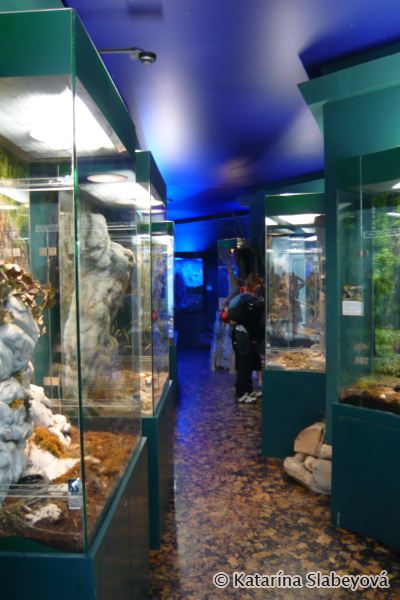 At the ecocenter ground floor you will find an exposition of reptiles and amphibians living in this area. In the basement we visited an unique aquarium with local species of fish. 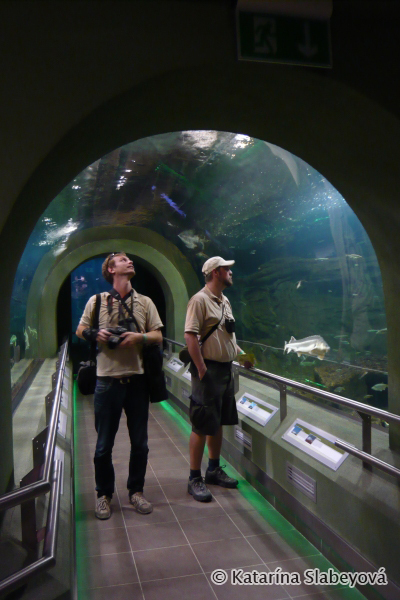 We liked most the largest tank, underneath which visitors can go through a transparent tunnel. 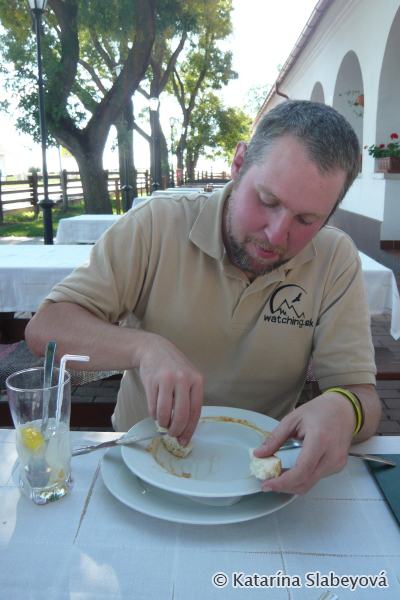 For each species of fish a description in Hungarian and English is available. Beluga, the largest freshwater fish, is also present in the aquarium´s tanks. 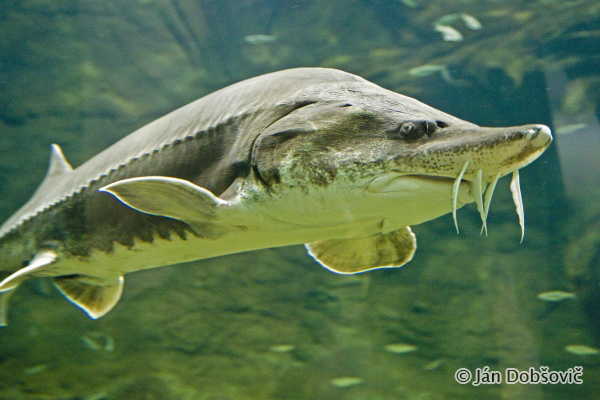 Once abundant also in Slovakia, its´way Danube’s upstream is now impossible due to the large dams build. 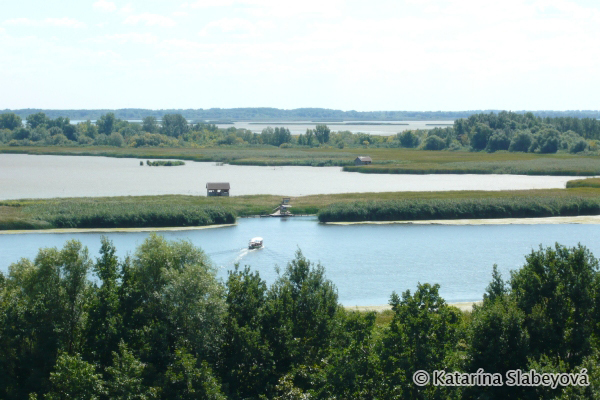 We took a lift from basement to the tower that offers panoramic view on the Lake Tisza surroundings. 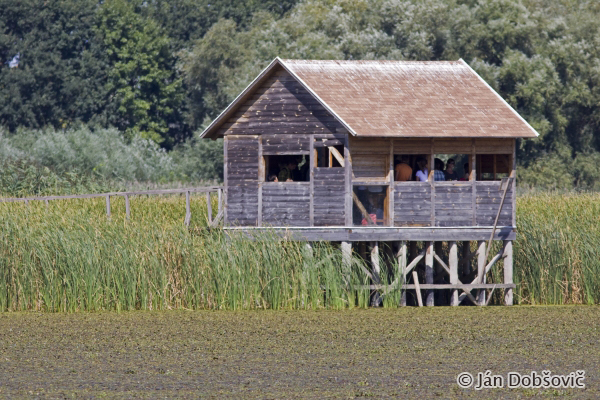 We were interested mainly in lake and wooden sightseeing path in the reed. 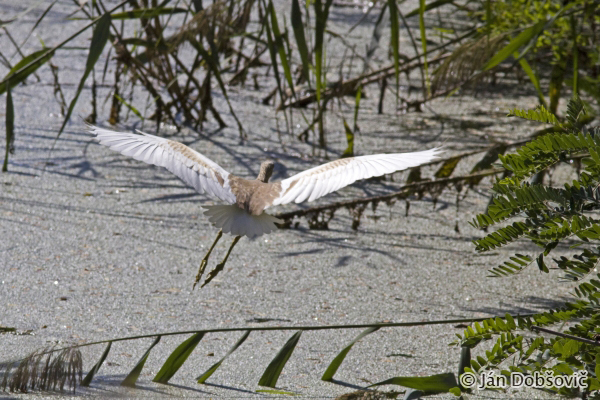 At canals along the building of ecocenter were hidden rare species of herons. Beside Squacco and Purple Heron we observed Night Heron (Nycticorax nycticorax) as well. 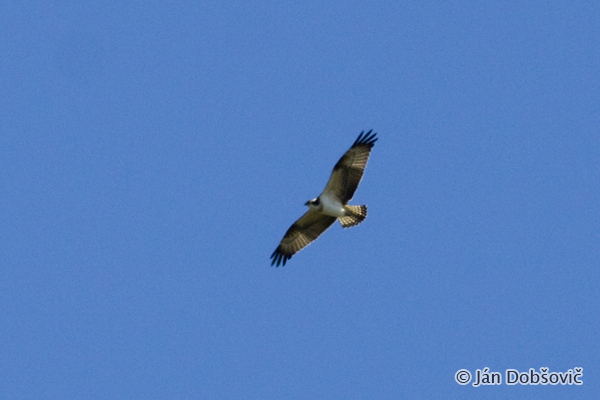 Osprey, that migrates south in this time of year, flew over our heads. 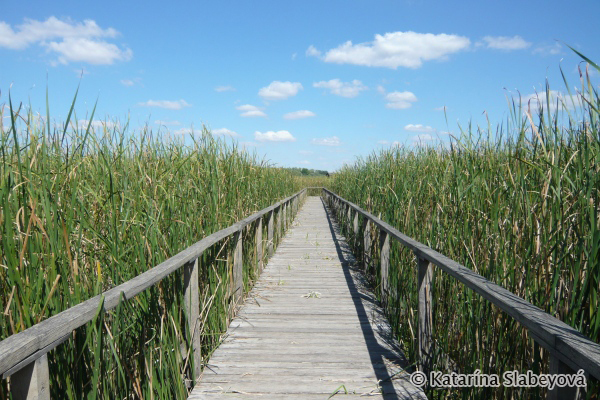 Wooden path in the reeds of Lake Tisza is accessible only by boat. Wooden path runs over the surface of the lake. 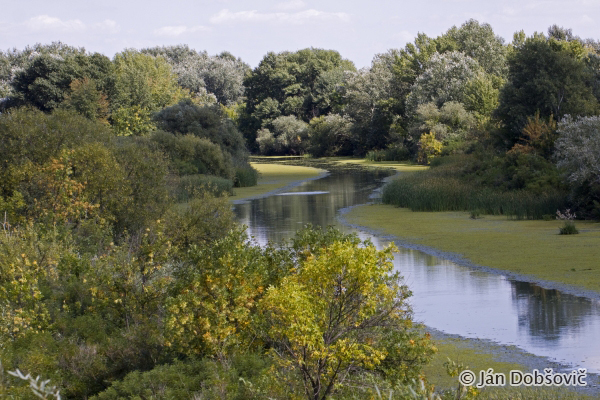 It offers views into small closed ponds or it is aligned by reeds from both sides. In spring and summer it must be a perfect place for plenty of songbirds. We heard and later observed at least Bearded Reedlings (Panurus biarmicus). Wooden path connects two hides and one watching tower. View from the watching tower. We observed several bird species from the hides. 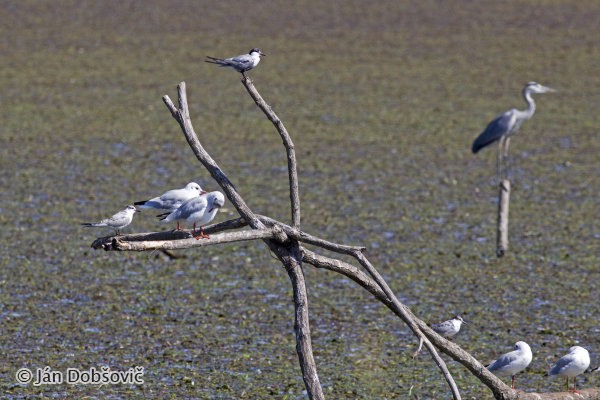 Black-headed Gulls (Larus ridibundus) and Common Terns (Sterna hirundo) were roosting on dry branches. Grey Heron (Ardea cinerea) in the background. 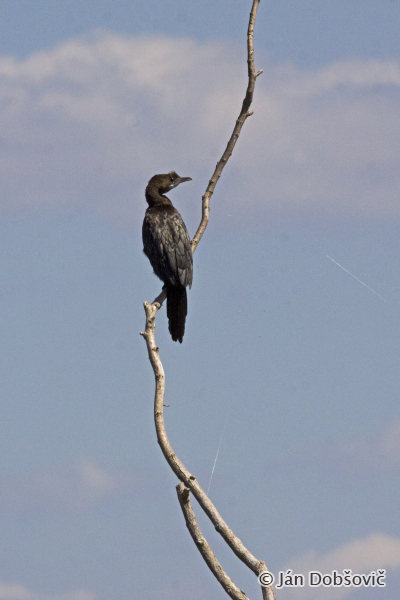 This Pygmy Cormorant posed for few minutes. 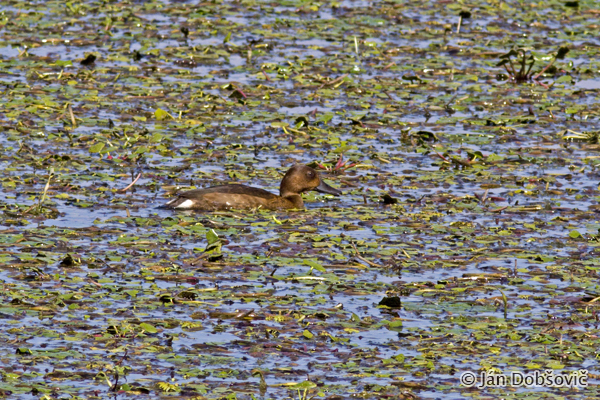 Rare Ferruginous Duck was feeding on the lake covered in water plants. We spotted four Little Crakes. It was a lifelist tick for three of us. 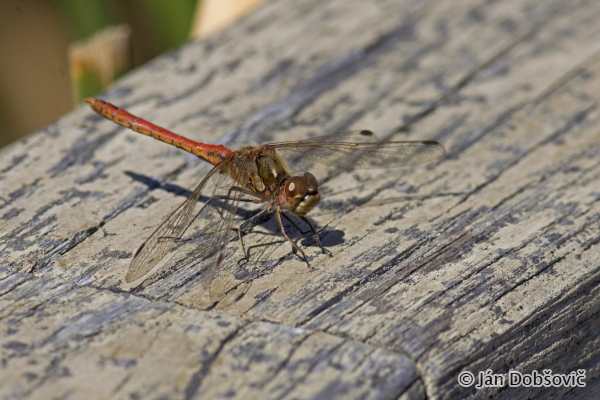 Lake Tisza is a home for various species of insects. We made a stop in puszta on our way to national park information center. 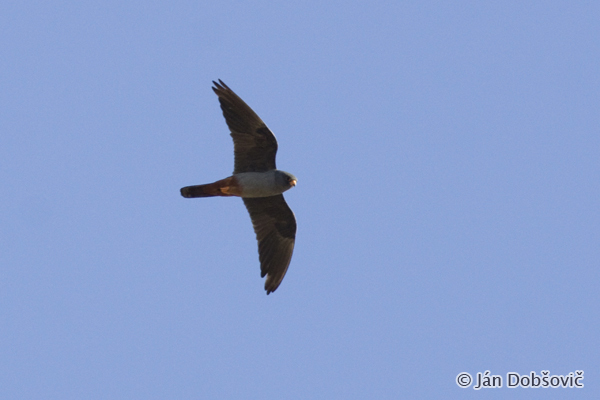 We observed c40 Red-footed Falcons. 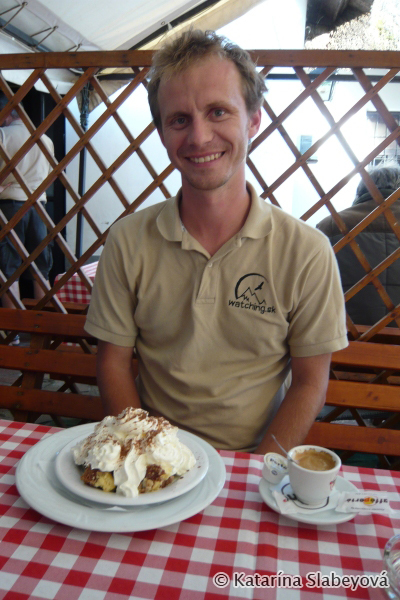 This species is extremely rare in Slovakia. We decided to taste local cuisine. 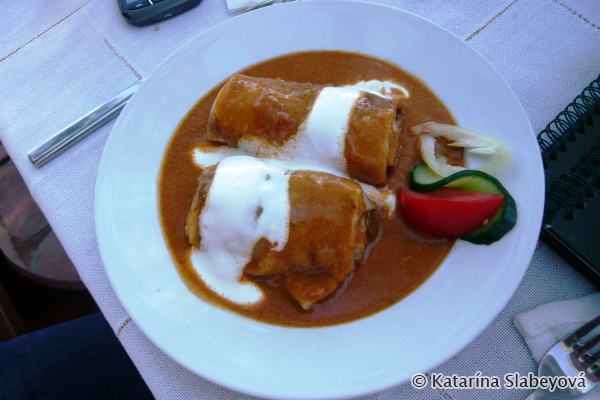 Debrecen cabbage filled with meat looked great. And tasted great as well! 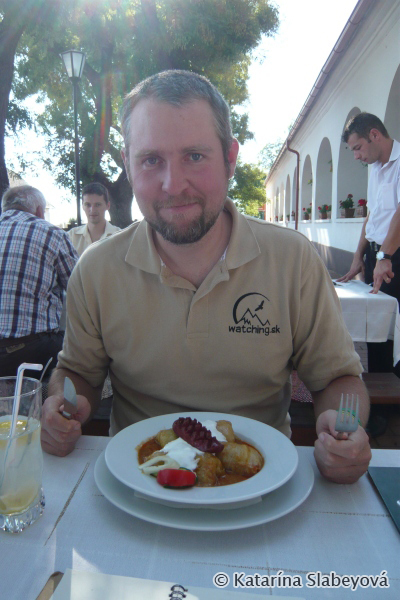 Another pick from menu were Hortobágy pancakes. Some of us wanted also a dessert. We took a short walk after the lunch. 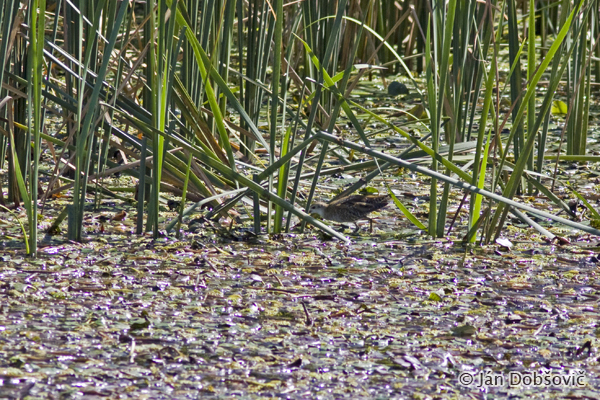 We found Common Snipe (Gallinago gallinago) and a female Teal (Anas crecca) on a small lake.